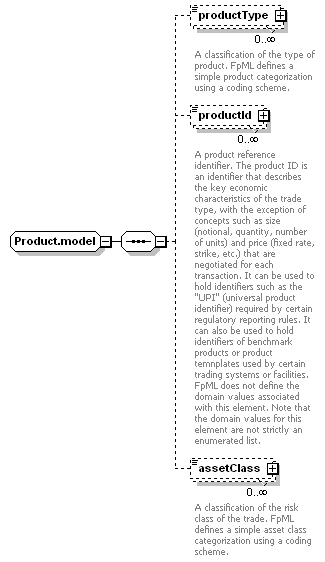 A product reference identifier. The product ID is an identifier that describes the key economic characteristics of the trade type, with the exception of concepts such as size (notional, quantity, number of units) and price (fixed rate, strike, etc.) that are negotiated for each transaction. It can be used to hold identifiers such as the "UPI" (universal product identifier) required by certain regulatory reporting rules. It can also be used to hold identifiers of benchmark products or product temnplates used by certain trading systems or facilities. FpML does not define the domain values associated with this element. Note that the domain values for this element are not strictly an enumerated list.